Catch the flight to Cluj or Targu Mures to be met at the airport with the bike complete with full tank of fuel and enjoy have one of the best days of your life, catch the evening flight back and be home in time for supper! 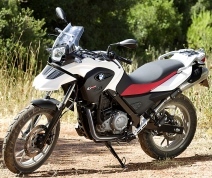 All prices include use of model BMW G650GS, 2013 model, with luggage, tank bag, top box. Should you wish us to remove something, please state your preferences in the booking form. The Compulsory Insurance against Civil Liability in respect of motor vehicles is provided.